869GO.com is all about convenience. Purchasing tickets online through this service is simple and can be accessed from absolutely anywhere. Why try and find a ticketing location, leave your home, stand-in line to pay for a ticket, when you can sit at home (or anywhere) and pay securely using your debit/credit card and save/print your ticket when you want, at any time leading up to the event. And don’t forget the fast track access to events that comes along with having purchased them online! The process could not be simpler, here are some Frequently Asked Questions with the simple answers. With a debit or credit card like any other online purchase. Based on the rise in global usage we also accept Bitcoin Cash payments. To find out more about Bitcoin Cash, click Bitcoin Cash. An additional feature for those paying with debit or credit card is the ability to store your card details in the payment gateway system (not on our servers) so that in the future you can simply choose that card for payment vs. entering in all the details again. Once purchased, tickets are non-refundable except in very special cases as directed by the event promoter. Click for full Terms and Conditions. Will the tickets I buy online be mailed to me or do I have to pickup? NO! Tickets are conveniently fully self-managed and the PDF ticket can be printed at your leisure or saved to your phone. Some people screenshot the ticket so it is saved in their picture gallery. 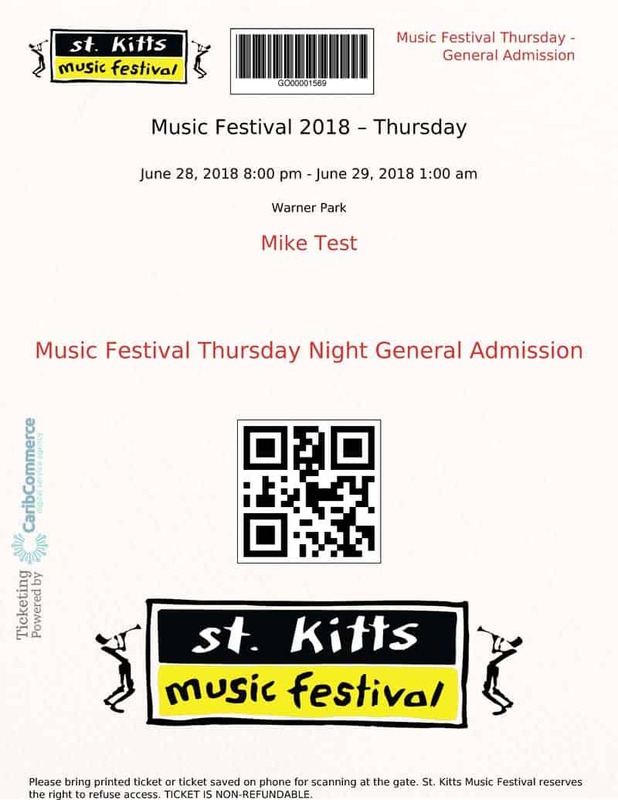 Is it better to print the ticket or save to my phone to show at the gate? Either will work, however, we have found that having the physical printed ticket ensures a smoother process as on the phone the ticket is much smaller and it takes the ticket scanner a little longer to process. Also, sometimes people have a problem finding the file on their phone at the gate, which slows the process. As such, our recommendation for the smoothest experience would be to print the tickets. How do I actually receive my ticket(s)? When your online order is completed, on the payment confirmed page there are download links that can be immediately used to download the ticket(s). An email will be sent that includes links to the all tickets purchased that can be clicked on at the time of receiving the email or at any time prior to the event. All orders are saved in your online account and each order detail screen includes the download links. Your online account is available at https://869go.com/my-account. Once logged in just click on Orders and View the relevant ticket order. Additionally, if you purchase tickets for someone else, entering their name and email address, they will also receive a simple email with a ticket download link where they can print for themselves if it is more convenient. What if I print the same ticket more than once? Well, there’s always somebody that thinks they’re smart! The system will only allow the ticket to be scanned once. So you can give your friend a copy, but hope they don’t get there before you as once the copy is scanned your ticket will be rejected when presented. For the same reason, it’s important that you keep your tickets safe (just like you would regular tickets) and is one of the reasons we recommend that there is no need to actually print the ticket until near to the day of the event. Of course, this doesn’t apply at all if you plan to present the saved ticket on your phone at the gate.